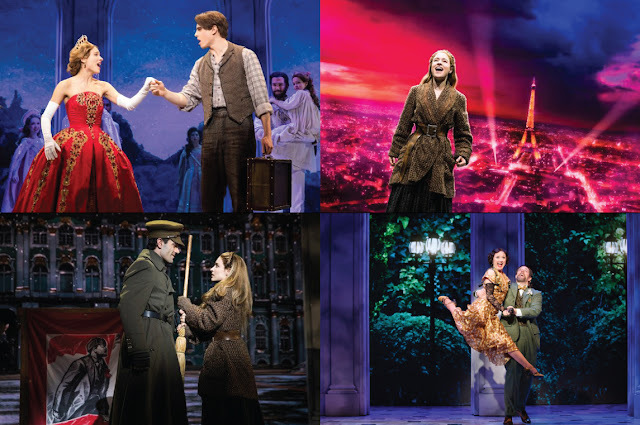 Review: With the huge success of the Broadway adaptations of Disney’s animation musicals, it’s not a surprise that Fox’s 1997 musical ANASTASIA, with songs by Stephen Flaherty and Lynn Ahrens (RAGTIME), would arrive sooner or later to the stage. Specially because it appeals to the young girls’ audience that made WICKED a hit, plus it has touristic appeal. In fact, I don’t know why it took so long to get to a Broadway stage. The movie score had a hit with “Journey to the Past” (a song in Alan Menken’s style), plus a few more songs, my favorite being “Paris Hold the Key (To Your Heart)”. Gone is the villain’s song “In the Dark of the Night”, plus the pop tune “At the Beginning”. In their place, there’s a dozen of new songs lively orchestrated by Doug Besterman. 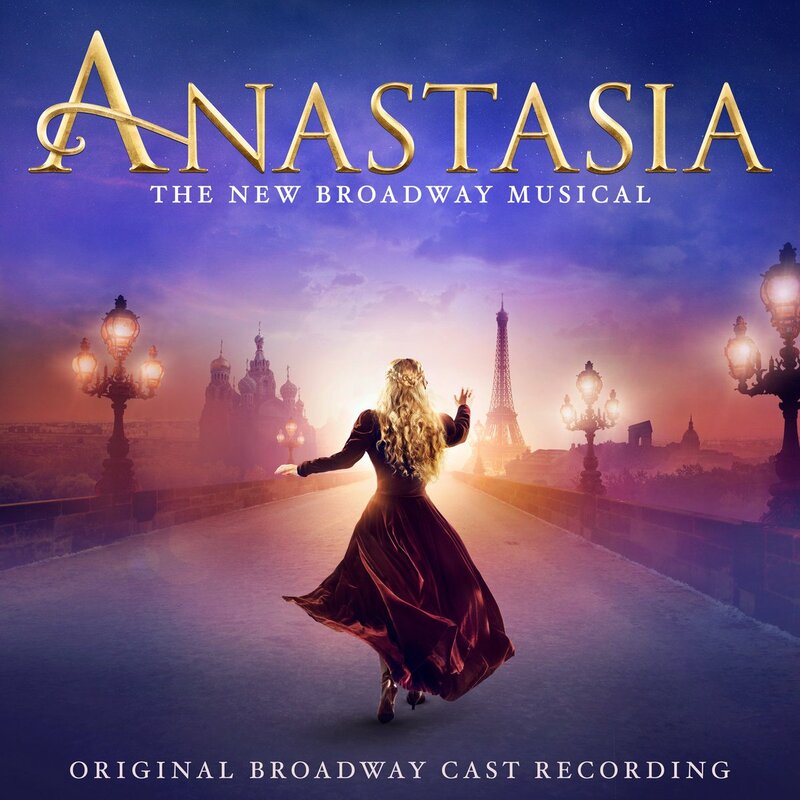 In the title role, Christy Altomare reveals a sweet powerful voice, giving us strong renditions of “Journey to the Past” and the beautiful “Crossing a Bridge”. As the villain, Ramin Karimloo, who has a terrific voice, has is big moment with “Still”, but he deserved more interesting songs. Derek Klena, in the role of Dmitry, is a nice surprise shining with “My Petersburg”, “Everything to Win” and “In a Crowd of Thousands”, a romantic duet with Altomare. But my heart is with Caroline O’Connor’s Lily, who deliver my favorite songs of the score, “Land of Yesterday” and “The Countess and the Common Man”, here in an amusing duet with a great John Bolton. Bolton also sings, with the rest of the cast, another song that I love “We’ll Go from There” and leads the company with the already mentioned “Paris Hold the Key (To Your Heart)”. This is an entertaining and melodious score, better than the movie soundtrack. Personally, I think it’s one of the best cast recordings of the year, but you know me, more heart than brains. Anyway, I think it really deserves to be part of any musical lover music library.